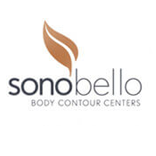 For body contouring and liposuction in Sacramento, Sono Bello Body Contour Center is a great resource. Their consultation office and clinic is equipped with state-of-the-art technology and staffed by a skilled team of board certified physicians. These professionals perform hundreds of Laser Assisted Liposuction treatments every month, providing exceptional care and stunning results. Sacramento patients interested in improving the look and shape of their body can trust Sono Bello to permanently remove stubborn body fat in all problem areas, including the neck, back, hips, chest and thighs. Their highly trained surgeons use the latest techniques and most advanced tools to perform simple outpatient procedures, such as SmartLipo™ and LipoLite™. These methods result in very little bleeding, bruising or downtime, and patients get smooth skin with no visible scars. Sono Bello in Sacramento offers patients elite care and service, including free consultations, patient financing options and most importantly, great results! To find out more about Sono Bello's laser liposuction and body contouring services in Sacramento, or to schedule your free consultation, contact us today. Sono Bello serves residents of Rio Linda, Carmichael, North Highlands, Foothill Farms, Fair Oaks, Elk Grove, Citrus Heights, Roseville and more. Sono Bello - Sacramento offers Complimentary Consultations. Sono Bello offers free, no-obligation consultations, where patients can meet with a trained professional to discuss the details of the procedure and their cosmetic goals. The staff will also provide information on patient financing during this initial meeting.